Your private oasis from the outside world, your home offers comfort and rest after a long day. For many of us, those comforts entail a lush, velvety carpet to sink our feet into. Unsurprisingly, carpeting remains one of the today’s most popular flooring types. With its endless possibilities, there are thousands of carpeting options to choose from and that means carpeting is for everyone, regardless of budget, style, or functional needs. At National Carpet One Floor & Home in Forrest City, AR you’ll discover the Forrest City’s largest residential and commercial carpet inventory. We offer nothing but the finest carpeting and area rugs, and our team of seasoned flooring experts are always on hand to help you find the perfect product for your lifestyle, never compromising on personal style. Of course, there are plenty of stain-resistant, kid-friendly, and pet-friendly carpets to choose from, too. Let’s learn more about carpeting and its many aspects. The decision to install new carpeting is truly just the beginning of your journey. Carpet customers will have many factors to ponder, since different types of carpeting boasts different attributes. Fiber density- commonly referred to as carpet pile- is one important thing to consider. Made using various materials, your carpet’s fibers play a vital role in durability, texture, and appearance. Synthetics like polyester and nylon are extra durable, with superior softness, for example, while wool is naturally sourced and resistant to mildew and mold. Frieze carpeting is extra soft and fits in best in casual settings. Its fibers are long and twisted, creating dimension as well as cushioned comfort. Level loop carpeting is dense with a low profile, fitting best into high-traffic settings. Its fibers are short and have looped ends. Patterned carpeting is made of cut yarns and fits great in a formal setting. Its fibers are cut at varying heights for some very unique patterns. Textured carpeting is made using long fibers and works great for everyday use. It has a casual look and a rougher texture. Plush carpeting is made using thicker fibers and boasts a very formal appearance that is similar to velvet.It has extremely soft fibers that are intended to provide ample cushion. Carpeting has many, many wonderful attributes. It is relatively quick and easy to install, is available in many different styles, colors and patterns, and boasts options to please all price ranges. Carpeting can instantly transform your space, and for those with busy schedules, there are plenty of varieties that are quite easy to care for. National Carpet One Floor & Home carries all your favorite carpeting and rug brands, including some exciting Carpet One exclusives that aren’t available elsewhere. Among the brands we carry are Innovia, Tigressa, Bigelow STAINMASTER, and Lees. We can also help you with carpet installation, and we offer a wide range of related services. Let’s find you the best carpet for your space and budget. 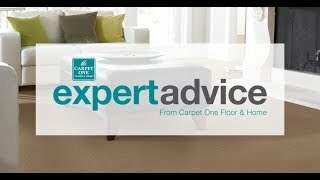 Keep your new carpet bright and beautiful, with these easy tips.